P Nagaraj 's tryst with organic coffee happened in 2001. He was visiting a relative who served him a cup. Nagaraj instantly took a liking to the uniquely strong taste. Being a farmer who grew coffee using chemical fertilisers, Nagaraj was even more amazed at the low input cost for growing organic coffee and the high demand from traders. After gathering information about organic farming from locally available literature and meeting organic coffee growers, Nagaraj started an organic coffee plantation in his native Palangana village in Karnataka’s Kodagu district in 2001. But after 14 years of a not-so-successful experiment, Nagaraj decided to move back to inorganic coffee in 2015. “I would have liked to continue, but my livelihood was at risk. I could produce over 1.5 tonnes of coffee cherries in an acre (0.4 hectare) by using chemical fertilisers. But the yield of organic coffee was much less—around 0.7 tonne,” he says. “Though it is still profitable because the input costs are low, due to the continuous dip in the yield I am doubtful if organic coffee will remain profitable. In 2014, the yield was just 0.6 tonnne. With inorganic coffee, there is at least a guarantee of good yield and good market,” Nagaraj adds. J J Ramesh, another farmer in Hassan district of Karnataka, is also considering returning to cultivating inorganic coffee. He had started farming organic coffee on his 1 hectare (ha) farm in 2010 after undergoing training from a local non-profit. “I was encouraged by the taste, the promise of premium price and the low input cost,” says Ramesh of Janekere village. But he was not satisfied with the profit margin. “Everyone appreciated organic coffee but no one talked about better price. My coffee was treated as general coffee. The only plus point was the low input cost,” he adds. The decision of these small farmers to shift from organic to inorganic coffee signals the slow death of an organic movement that picked up in the country in the 1990s after an international coffee crisis during which there was a 70 per cent drop in the income of small coffee growers. 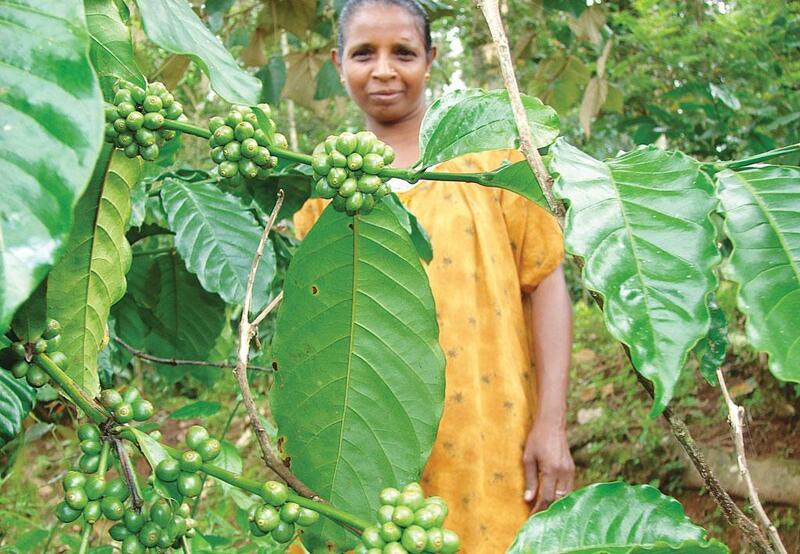 “It is during this period that small farmers in Kerala started producing organic coffee to reduce the input cost. The trend gradually spread to Karnataka and Tamil Nadu,” says Y Raghuramulu, director of research at the Central Coffee Research Institute, Chickm-agalur, Karnataka. Hassan, Kodagu and Chickmagalur have traditionally comprised the coffee-growing regions in Karnataka, contributing to nearly 80 per cent of the country’s total coffee production and about three per cent of the world’s coffee. These districts have also been hot spots of organic coffee cultivation in the past three decades. But the situation is changing now. 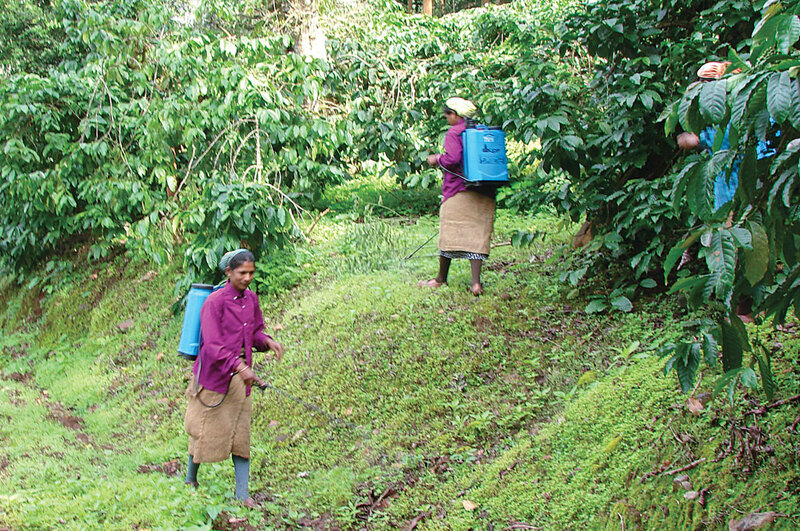 The number of organic coffee growers in the state has come down drastically in the past 10 years, claims C G Kushalappa, head, department of forest biology and tree improvement in the College of Forestry, Kodagu. “There were 109 small and medium farmers in Kodagu in 2005 who used to grow organic coffee and were keen to get certified. This number has now reduced to 10,” he says. According to Kushalappa, who is a certified organic coffee grower in Kodagu, these farmers opted for organic coffee in the hope that they would get premium price, which they did not get. 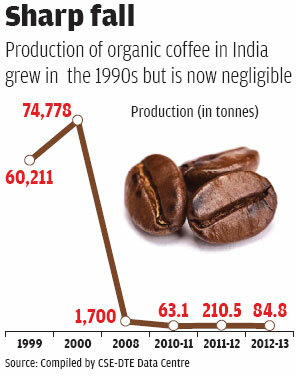 The production of organic coffee in India fell from 60,211 tonnes in 1999 to just 84 tonnes in 2012-13 (see ‘Sharp fall’). “Currently, the production is so less that we do not even track it,” says Saswati Bose, deputy general manager, Agricultural & Processed Food Products Export Develop-ment Authority. The production of inorganic coffee in the country in 2015-16 was 0.35 million tonnes and around 325,000 farmers were involved in the sector, as per data provided by the Coffee Board of India. Coffee experts say there is a huge demand for organic coffee at the international level, which is not being met with the current supply. While the Western countries, esp-ecially the US and European nations, consume about 80 per cent of the world’s coffee, the poor and developing nations produce about 67 per cent of the total coffee. But production alone is not enough. To be sold in the international market, coffee has to be certified as per the consumer country’s standards. The US and Europe, which dominate the global market, want organic certification, which is a costly process. “No small farmer can afford certification by Western agencies. This bottleneck is slowly weakening the organic movement in the country,” Raghuramulu says. Shiva Kumar, an organic coffee grower in Kodagu, was keen to get his coffee certified, but he changed his mind. “On average, the rate for certification is Rs 50,000 per year. Besides, the transportation, food and lodging cost of visitors from certifica-tion bodies are borne by the farmer. So, I didn’t go for the certification,” Kumar says. Kushalappa explains that today, a farmer in Kodagu will grow organic coffee only if he or she has other sources of income or is passionate about organic. During the 10th Five Year Plan (2002-07) the Union government introduced a policy to support small coffee growers to incentivise certification by giving a subsidy of Rs 50,000. But the policy did not achieve much success and was scrapped in 2007. Babu Reddy, who works with the Coffee Board of India, attributes the policy failure to lack of awareness. “Farmers were not informed initially and the scheme was introduced only for a brief period. It takes at least three years for a farmer to convert a field into an organic one,” says Reddy. As per coffee board’s estimate, India’s contribution to the global organic coffee production was a mere 2.5 per cent in 2007. Ethiopia and Latin America produced the bulk. In 2002, the Phalada Agro Research Foundation (PARF), a Bengaluru-based private company exporting agri-products, started engaging with organic coffee growers in Karnataka. PARF provides group certification to organic coffee growers and procures a part of their total produce at a rate 10-20 per cent higher than that of conventional coffee. “But coffee farmers have to sell the rest of their produce in the open market where it is bought at the conventional rate,” says A Ponnappa, group manager at Bombay Burmah Trading Corporation Ltd, Siddapura, the largest producer and exporter of organic coffee in India. According to Jayram, who heads the certification wing at PARF, most of the farmers who initially became members have left the group because their profit margins kept dropping. Certification cost is not the only obstacle in organic coffee farming. Lack of awareness among farmers about organic inputs is also a concern. “If there is high drop in yield, it means the plants are not properly fed,” Ponappa says. This could be the result of farmers not employing enough cattle to produce organic compost. Rearing cattle is an inherent part of going organic. 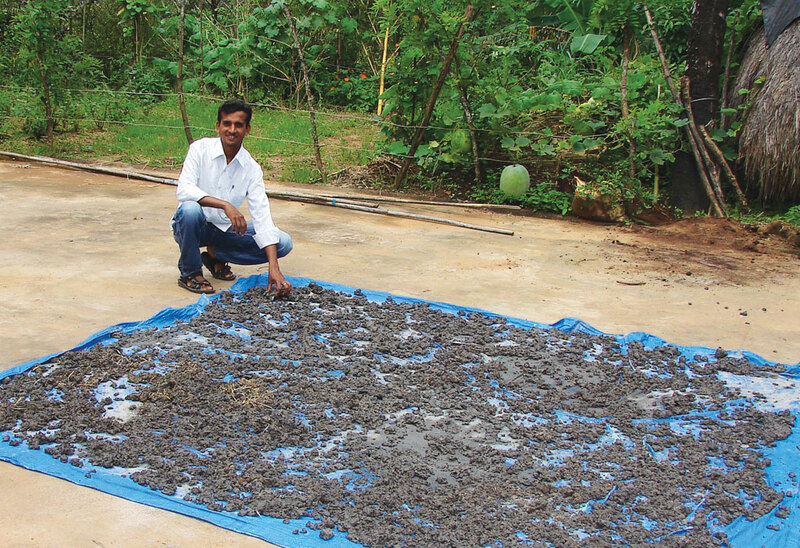 Not only farmers get free compost, they can enhance their profits by selling milk. Kushalappa does not buy the promise of private companies in Bengaluru selling organic compost. “How can a city like Bengal-uru produce so much organic input? These companies definitely use industrial waste or sewage to make compost,” he alleges. The Coffee Board of India has issued a set of guidelines on preparation and usage of organic manure for organic coffee growers. “If the farmers do not follow these guid-elines, the cost of cultivating organic coffee will be more,” says Raghuramulu. Yet another problem faced by organic farmers is the labour-intensive nature of the practice. This makes it unviable for small and marginal farmers in the face of rising labour costs. “The requirement of a large number of labourers makes it unpro-fitable. Moreover, there is no assured market,” says Ratan Kumar, an organic farmer in Janekere village in Hassan district of Karnataka. Despite the falling numbers, hundreds of farmers still practise organic farming in the coffee-growing districts of Karnataka. However, only a few are certified. “In Madikeri, there are around 300 organic farmers, including me, but none of our products are certified. We grow organic coffee because it is healthier for us to avoid using chemical fertilisers,” says Kumar. According to Kushalappa, one of the ways for farmers to recover costs is to opt for eco-certification. There are international non-profit certification agencies like The Fairtrade Foundation and Rainforest Alli-ance that focus on environment conservation while providing certifications for coffee production. “The certified growers need to follow certain principles such as foresting non-productive areas of the farm, no use of child labour and payment of minimum wages to labourers,” Kushappa says. “It is cheaper and in demand in the international market as green coffee,” he adds. Currently, most small organic coffee farmers in the country opt for Participatory Guarantee System (PGS), an internationally applicable organic quality assurance system, for domestic certification. Under PGS, which is a non-profit, local groups of farmers conduct appraisals themselves and maintain a watch to ensure that all participants follow the standards. But such mechanisms cannot substitute government support. There is an urgent need to formulate a concrete policy to ensure the survival of organic coffee in India.